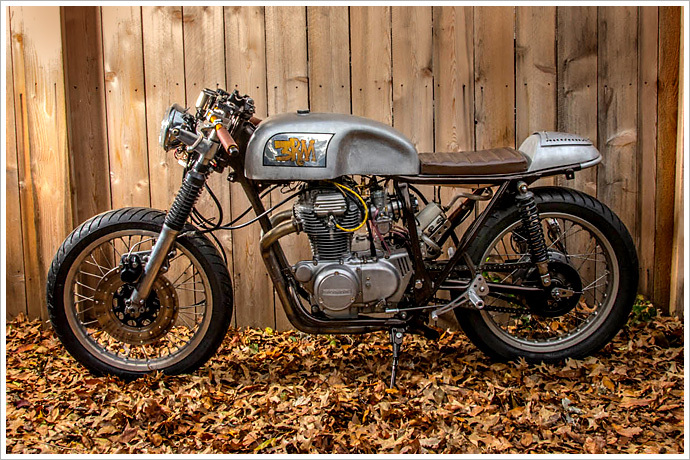 Custom bikes are a challenge that many of us have tried and failed. Whether it be a lack of time, money, skills or a combination of all three, there’s many more projects out there that get sold as spare parts than those that make it to the end. So imagine a project involving four different guys in four different US states that decided to build separate bits of a whole bike and then meet up to put it all together. In three days. At Barber Vintage Motorcycle Festival. Doomed to fail, you think? Think again.